This stunning lectern has been designed with aesthetics in mind, having rounded edges throughout and finished to the RAL colour of your choice. 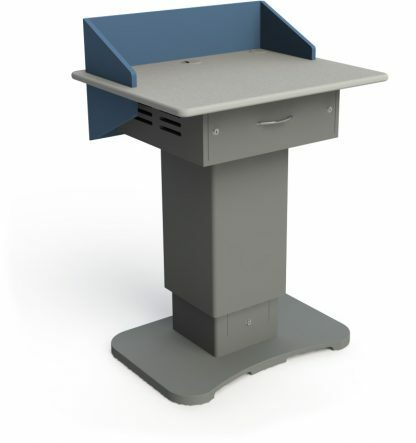 The back of the desktop can have an alternate colour, and can be removed to access the rear of the rack. Cable management through to the base. 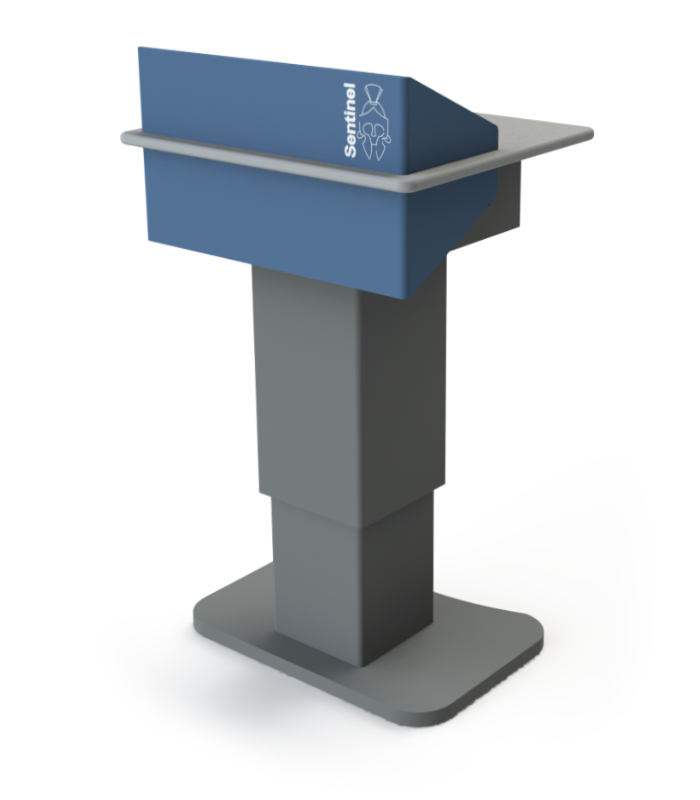 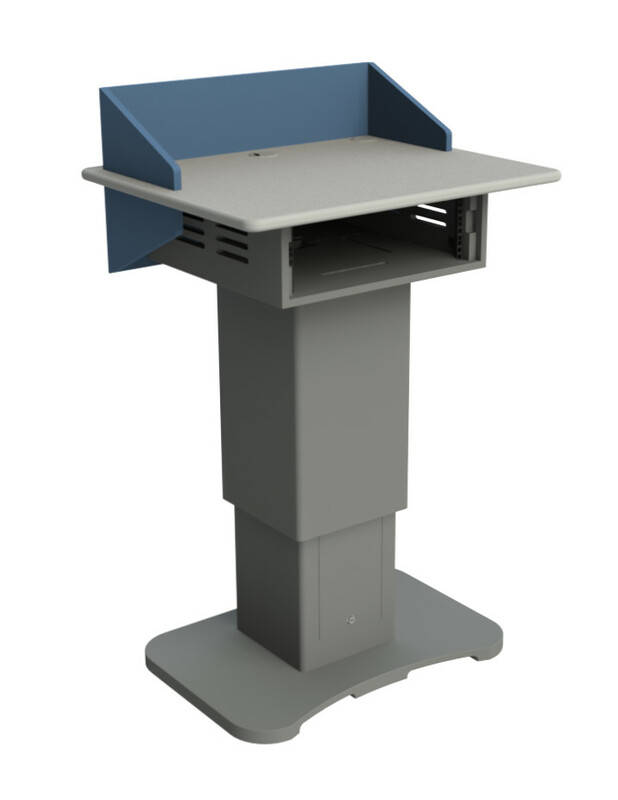 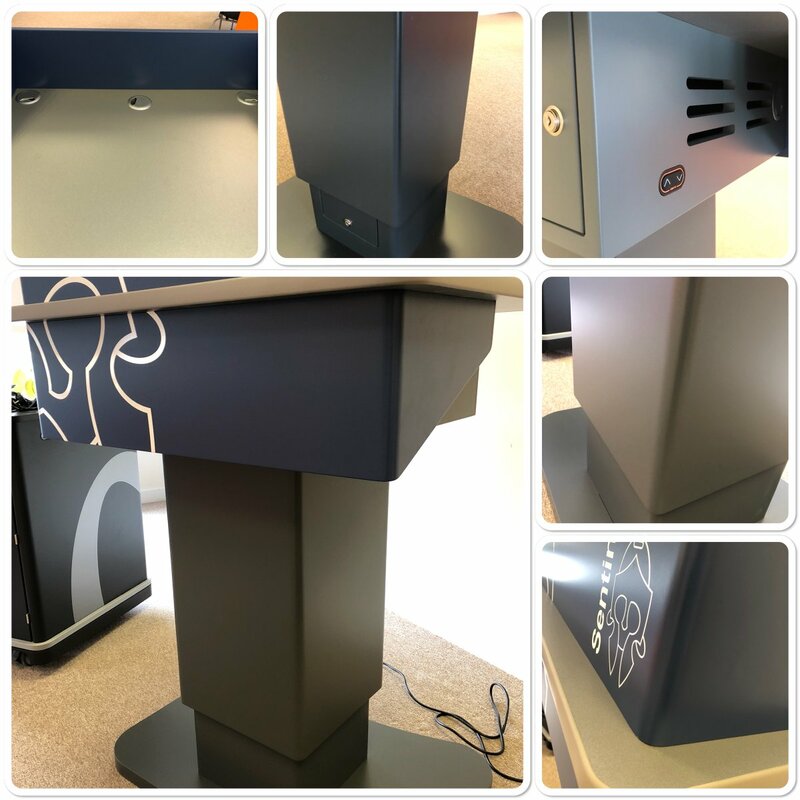 With a small footprint, this lectern is ideal for small spaces, but can also command a presence in a large space, whilst being able to be adjusted to a comfortable working height.